A child’s room is a special space. It’s where dreams are developed, imaginations explored, and fun is the name of the game. When it comes to decorating a room for the kids, look for pieces that will grow with them over the years. Get creative with our assortment of statement accessories and furniture hand-picked for the kiddos. They prove that rooms can stay stylish no matter how messy they get. There’s something amusing about using traditional antiques in a child’s room. Vintage pieces instantly enjoy a youthful refresh while creating a space that’s full of character. 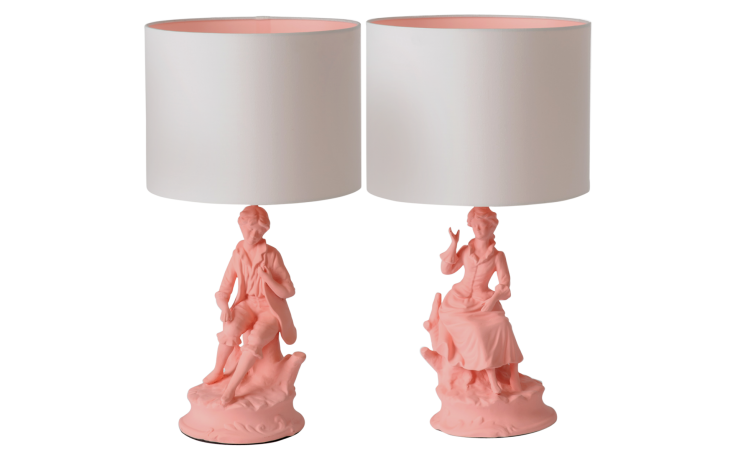 These porcelain lamps are quirky and fun, and perfectly add some playfulness to any interior. Let their imagination soar with whimsical and unusual statement pieces. 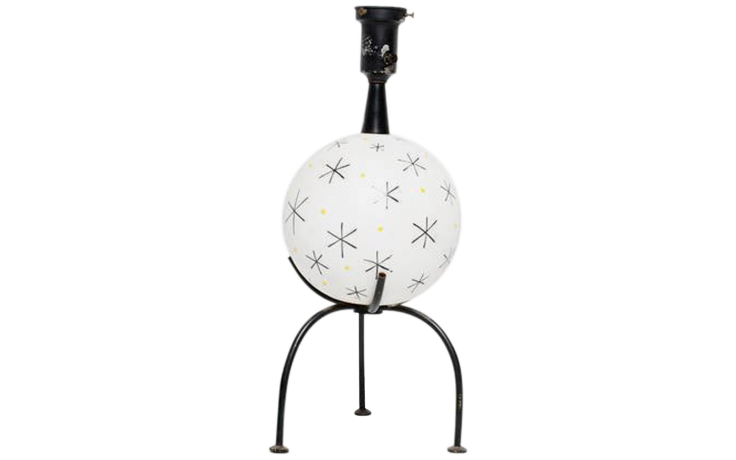 Any space would be elevated with a fantastical accent like this vintage table lamp. The combination of a light and cheery ceramic sphere with the dark brass base is anything but ordinary. Decorating for kids’ rooms makes using pops of color easy, but this bright bed frame gives the trend an unexpected twist. 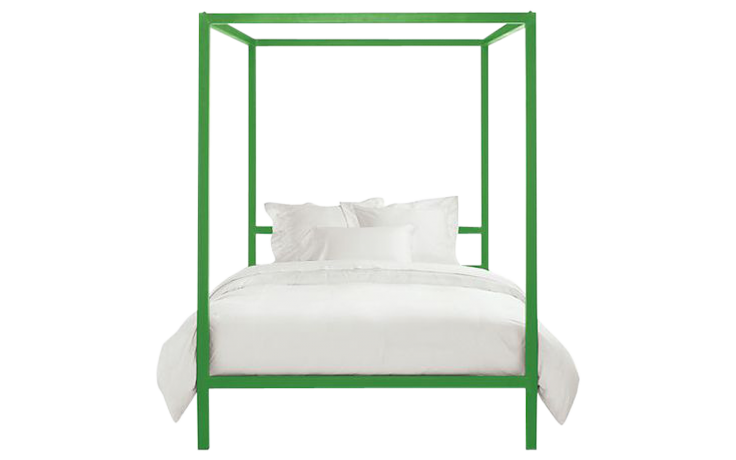 Playful yet modern, these full-size canopy beds show some personality while balancing an airiness that doesn’t dominate. Functionality is a must when decorating a kid’s room. Set the family up for success with a practical and accessible storage unit. 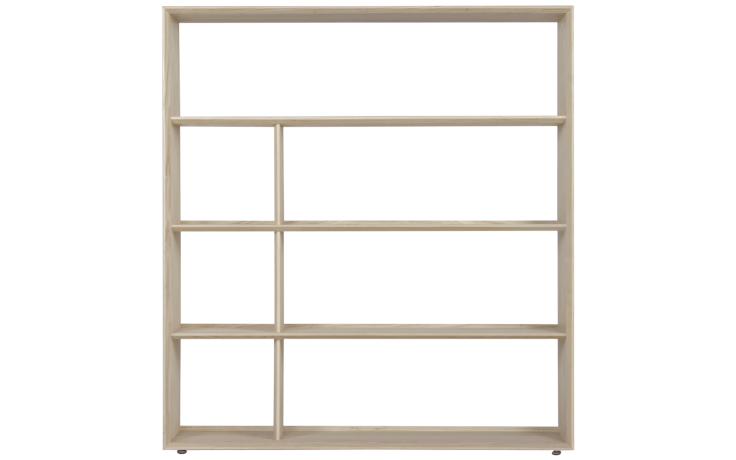 This bookshelf, made of solid American ash, is strong enough to hold toys, trinkets, books, and whatever else is currently on the floor. Plus, the simple and timeless shape can work for any age and any room. Function is fine, but we need to have some fun! You can’t help but feel happy when admiring a piece as eccentric as this. 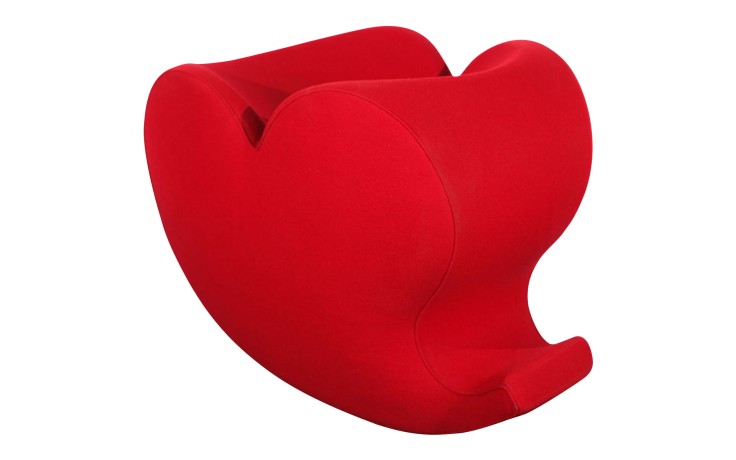 This soft foam rocking chair is cushy enough to swaddle, and who wouldn’t want to be enveloped by a gigantic heart?